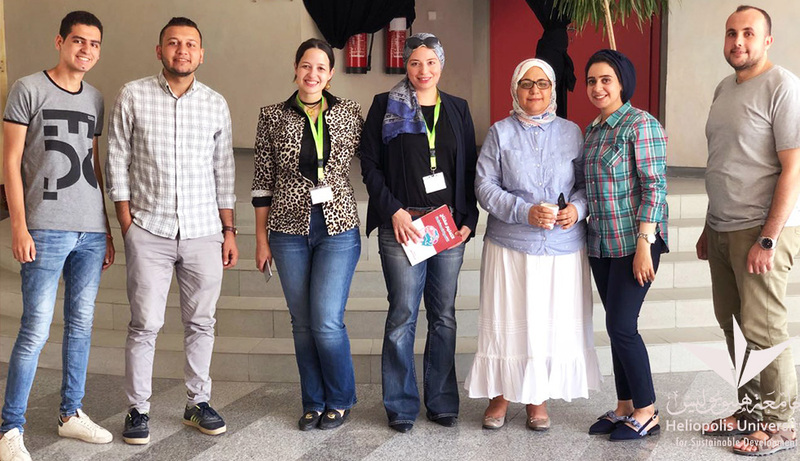 On July 31, Heliopolis University Alumni Unit organized a workshop for the university graduates and senior students which discussed the personal skills required for CV writing, business interviews, and freelancing jobs. The first session of the workshop dealt with CV writing and job interviews. 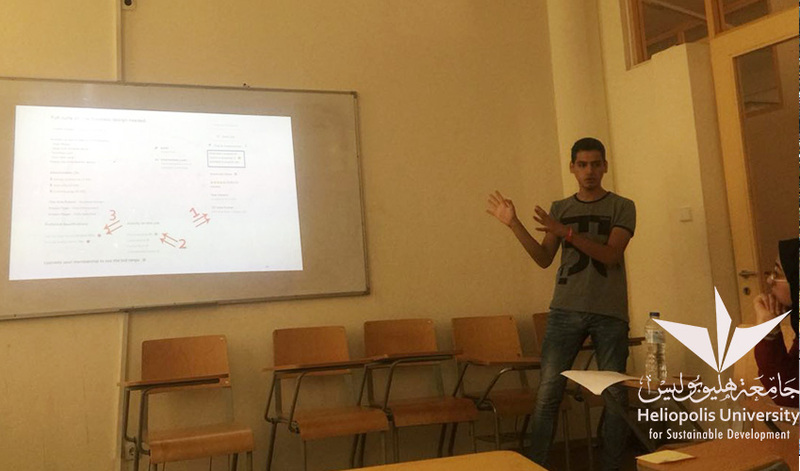 Job Land team, composed of Rehab Alshahawi and Sara Talaat, explained in detail how to write a CV in a purposeful and accurate way that would encourage the recruitment staff to schedule an interview with the applicant. They also recommended that applicants attach a cover letter that specifically states their request and focus on the qualifications they have that at the same time meet the employer’s need. Another important issue is that applicants should not send the same CV to all employers. Rather, each CV should be tailored according to the employer’s business scope and the job type. In addition, for fresh graduates, they should highlight where they have graduated from (their university) and honestly and transparently mention its academic advantages. This makes the applicant a distinguished one. Also, applicants should list their interests, hobbies, initiatives, and voluntary activities in the CV as it positively defines the applicant’s personality. Through telling personal experiences, Job Land team explained the positive impact of continuous self- development and good business relationships which provides opportunities for employment and promotion. Through acting out an interview scene, the audience was able to distinguish between what should be done during an interview and what should not. At the end of their session, Job Land team asked the participants to write their CVs and send them to be reviewed. The second session of the workshop was presented by the professional freelancer Graphic Designer, Mohamed Gamal from Zagazig University. He explained what freelancing is, why we should start exploring it, the type of available jobs, freelancing websites, and detailed steps for personal branding. He also emphasized that we should investigate about the companies we work with before starting any job and how we can create an account to get paid for finished tasks. He stressed that freelancing jobs are available for all and anyone can improve his/her skills to be able to compete in the job market. Freelancing opportunities are always available, especially in startup companies which look for employees at reasonable wages no matter where they are. As a side event of the workshop, a fair for used books was organized. The fair sale returns were directed to charity activities.